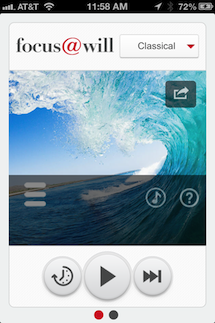 Have you ever wondered how the CCM certification exam is created? Where do those questions come from and who writes them? We were curious too! CCMC was very gracious and gave us a behind-the-scenes look at how the CCM Exam & Question Development occurs to share with you. We are sure you will find the following article by Debby Formica very interesting and informative! Many case managers are curious about test questions we use for the exam. If you’ve ever wondered where they come from, keep reading for your virtual behind-the-scenes look at test development. Because the Commission field-tests 30 questions on the exam to gauge performance (only 150 previously validated questions are considered in the candidate’s score), the data from the field tests are also examined and assessed during follow up item-review sessions. In fact, every question that eventually becomes a scored exam question has survived a multi-step process: writing, review, pre-testing and additional review. 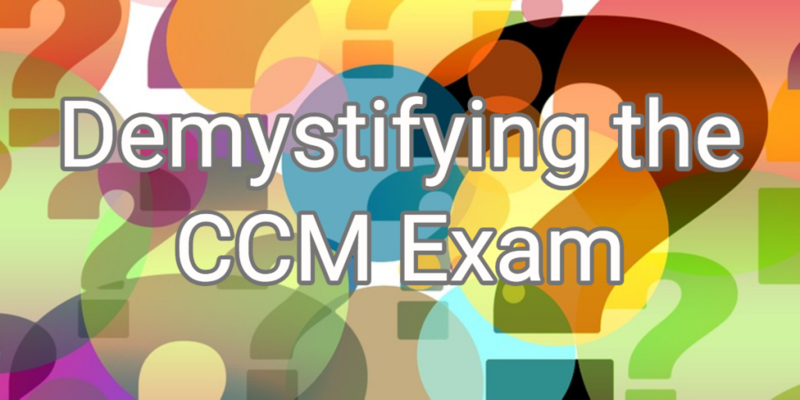 The CCM exam is practice-based, meaning all questions are grounded in the knowledge that an experienced case manager should know and understand. Test experts—psychometricians—apply a statistical procedure (called equating) to adjust for any differences in the level of difficulty among examinations. We go to these lengths to ensure that each exam candidate demonstrates the same level of ability in order to pass the examination. A participant once told me that volunteering for item development is a remarkable professional stretch—a truly eye-opening and complete immersion into case management knowledge. I know that when I finish an item development workshop, my brain is tired! CCM exam development is a rigorous, on-going, and fascinating process. The dedication of the subject matter experts who volunteer their time and knowledge is phenomenal. They’re an important part of what makes the CCM the gold standard credential for the case management profession. Here’s another question we often hear: What do we mean by an “evidence-based” exam? Every CCM exam—for a quarter century now—has been based on research delving into the work case managers do every day. The Commission fields the Case Manager Role and Function Study—a job task analysis—every five years. That independent research forms the basis for refinements to the exam blueprint, or the knowledge domains that are tested on the exam. When you think about it, the Role and Function Study results reflect the changes occurring in real-world case management practice—and that evolution is reflected in the exam blueprint and questions. 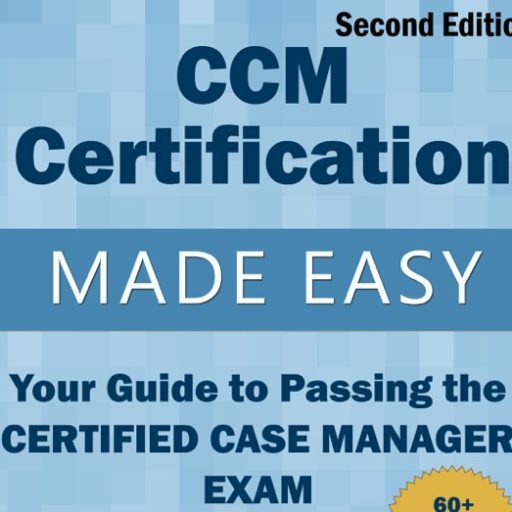 As part of this case manager community, you’ve probably heard that it takes time and determination to prepare for the Certified Case Manager® (CCM®) exam—and that’s 100 percent by design. Employers count on the Commission to validate the competency of case managers—through eligibility criteria and an evidence-based exam. That rigor is what makes the CCM so valuable in today’s health care marketplace for more than 45,000 CCMs. The exam research, review and refresh process is critically important to the Commission. It’s part of our charge to uphold the CCM as the industry standard for excellence in case management; it’s the only cross-setting, cross-discipline case manager credential for health care and related fields that are accredited by the National Commission for Certifying Agencies. As an aside, it just seems right that we at the Commission know what it feels like to go through the certification process, too—we do it regularly to maintain our NCCA status. CCMs expect the Commission to proactively track trends and current case management practice to ensure the credential sustains its value. That’s what makes all the studying and preparation worth the effort. The CCM is not just a credential for today. It’s a credential that will add value to your professional development across the span of your career. I second the above comment; my sentiments exactly!!! Good article. I would like to ask the various certification bodies what research is being done to understand why professional case managers successfully working in the field do not pass an exam? As more employers turn a voluntary process (certification) into a mandate (for employment), understanding why experienced professional do not pass the exam 3 and 4 times are critical. Certification should not put people out of work.